Not long ago, I wrote an article in support of Umar Johnson’s mission to create an academy for boys, followed by a June 19th open letter asking him to respond to legitimate community questions. I knew that Dr. Umar’s response would be revealing. If he chose not to respond, it would display his disregard for the Black community he presumes to lead; If he responded by respectfully answering the questions posed, he would reveal himself as a sincere man of the people with a humble spirit and nothing to hide. I write this article to argue for our right to be critical or question anything and anyone. Contrary to what others may say or believe, being critical is our right and responsibility. This especially applies to prominent individuals who come to us asking for large sums of money, and who promote themselves as leaders and reincarnated leaders. 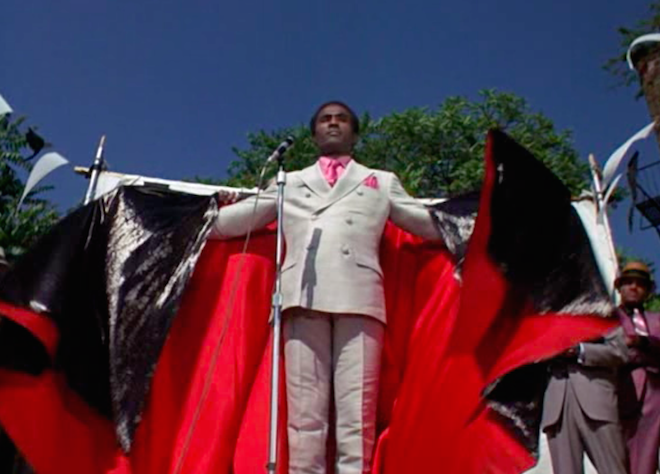 Reverend Deke O’Malley in “Cotton Comes To Harlem.” O’Malley hustled the Black community with false promises of relocating back to Africa. done as a movie) to understand our need to be critically supportive of Black leaders/spokespersons or their empowerment initiatives. In this book/movie, a con man disguised as “Reverend Deke O’Malley,” masterfully uses Black Nationalist rhetoric and bogus references to Marcus Garvey to scam Black Harlemites into paying him $100 each for shares to purchase a ship called “Black Beauty.” This ship, according to the con artist preacher, will take them back to Africa. Eventually O’Malley seduces $87,000 from the Harlem community and they eventually realize his fraudulent intentions…too late. In a capitalist framework, nearly everything and everyone gets reduced to an object of value, or labor to develop wealth, while material wealth and those with it become false gods. Add to this false consciousness, an oppressed people desperate for relief from poverty, despair, and exploitation, and compromised leadership in addition to a socially inflicted sense of nobodiness. When we witness a Black man or woman who seems to embody elements of courage, intelligence and vision, one who unapologetically articulates our pain and desires, and who inspires us to think big and be self-sufficient, we want to support them. This is fine, but our support must be critical. I argue that valid criticism or critique are both preventative and corrective. This oppressive and devaluing sociopolitical environment makes Black people prime targets for being misled, hoodwinked, and bamboozled. 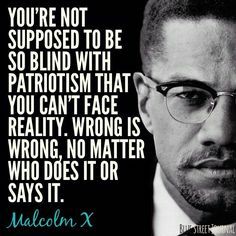 This helps to explain why our people have long been victimized by scams, half-baked ideas, poorly organized initiatives, false prophets and “righteous hustlers” in white and Black skins, peddling all manners of magic elixirs to line their pockets under the guise of “solving our problems” or liberating us. Given these realities, we employ legitimate and principled criticism in a preventative manner: It helps us to identify and guard against fraud, opportunism and disingenuous personalities. For example, good critique, which often involves research and investigation, can prevent people from investing hard-earned money in scams or scam artists. Criticism is not simply reserved for shady characters or ventures. There are times when sincere people with authentic motivations make errors in judgement or handle a situation inappropriately. Corrective critique helps us to improve or enhance our plans or ideas and make us more effective. Empowered people strive for excellence. Legitimate corrective critique empowers us to develop more accurate analysis, more effective strategies, and more relevant or useful objectives. We can learn and grow even from the opinions of foes or outsiders. But we have a special mandate to welcome and respond to valid critique from those we serve, who we ask to support us, and who make it possible for us to earn a living. Perhaps being uncomfortable with criticism is somehow coded into our DNA. We like to feel confident and secure. Outside criticism might make call our skills or ideas into question. We might worry that people will question our competence or knowledge. It’s fair to say that we all can remember times when we didn’t handle criticism well. 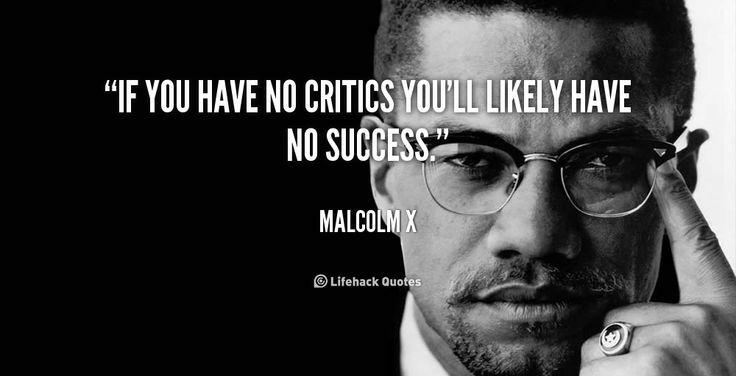 However, it’s also fair to say that we harm ourselves when we shun legitimate critique. We can also concede that a well-meaning individual with nothing to hide, does not attempt to silence valid critics with legal or physical threats, or immature name-calling. At this point, I think it’s premature to characterize Dr.Umar as a cult leader or a narcissist. However, some of his actions and words are leading many to view him as such and to question his intentions. As more people come to this conclusion, his fundraising drives, career goals and personal credibility as a Pan-African Nationalist man and leader will likely suffer greatly. Question 1: Do you have a transparent system of financial records or accounting that allows supporters to know exactly how much money you’ve accumulated without having to depend simply on what you say? 1a.How much as of this date have you raised via check, cash and Gofundme, and how much additional money do you need? 1b. Why did you cut the sister off from her legitimate line of questioning and refer to her in such a derogatory manner? 1c. If for any reason, you are unable to secure the properties you mentioned, how will you use all the monies you’ve accumulated in your fundraising campaigns? Question 2: Can you respond to the above criticisms/observations of your words/behavior in this clip? 2a. Is there anything for which you’d like to apologize? Question 3: Do you have a video clip or document that explains a comprehensive and strategic plan regarding the academy? 3a. If so, can you provide that link or document? 3b. Creating a school requires a collaborative team effort. No one individual can effectively raise money, plan curriculum, coordinate hiring, educational materials/supplies and other concerns alone. Do you have such a team or board in place? If so, who is on this board and what are their qualifications? Sir, during the long time I have known you, even when we have debated and/or disagreed, your speaking and/or writing has always been eloquent and professional. Your speaking and/or writing has never, ever, been personal and unprofessional. The response from the subject of discussion, if those are in fact his words, is deeply troubling, given his stated profession! One should leave it at that! Well written. There is absolutely nothing wrong with questioning anyone in the position of Umar Johnson. Because he is collecting funds to build a school and speaks, does that absolve him from being questioned? Does this mean that he can use derogatory terms to describe the people who have donated to his cause and not be questioned? When Umar Johnson says,”…they’re gonna have to take the throne!” indicates there’s not much positivity going on there. When people are in the spotlight, controversy and rumors surface. How someone handles it illustrates their true nature. I wish you’d received more SUPPORT for this awesome article which IMO is true, accurate, actual and exact. I did research (checked said credentials) on Umars self proclaimed credentials back on 2009 (from info HE PROVIDES based on info from his website) and with a group of others came to the conclusion that he is not only a habitual liar but also a total FRAUD!! Being a so-called alumni of said Univ. YET UNKNOWN. You are most welcome! I’m curious to know what specifically you appreciate about the essay…. I have been reading the commentary about Umar Johnson on the Internet. Much of it appears to be focused on his relationship with a woman who is stripper that went awry. A great deal of the commentary is tragically funny and it has morphed into a critique about a capital drive for a school for boys that Mr. Johnson has undertaken. Mr. Johnson’s pronouncements and teachings are not novel at all and shows, at the very least, that there are segments of the Black community who are still mired in a deep fantasy about Africa and addicted to a “fantasy revenge” against White folks. The excesses and shortcomings of Black cultural nationalism are a matter of history by now. This includes sexism and a form of uber Black supremacy that is underscored by countless books and essays by scholars and others who witnessed some of the madness firsthand. Black folks have a weakness for messianic leadership and people (mainly men) who like to run their mouths. 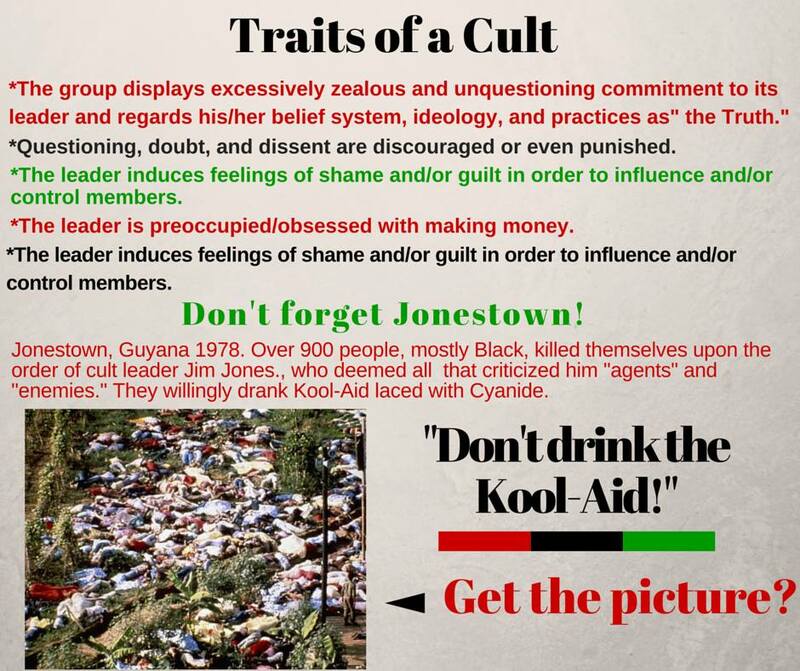 Umar Johnson is fully aware of this and, of course, he is part of a long line of people (so-called leaders) who have mentally and financially fleeced gullible Black folks who also come from a long line of folks who are used to allowing their pastors and leaders do whatever they want. Contrary to much of what the so-called “hotep” crowd believes, most of the contemporary leadership in Africa is not accountable to their people and are stealing the national wealth on a scale that is unprecedented. There is a body of literature about this that many of these people refuse to read. The idea that Umar Johnson is raising capital for a school just for boys is troubling. It seems to me that a school should be created for boys and girls. Secondly, Mr. Johnson does not appear to have any real credentials or experience to found, let alone run, a school. No one in their right mind is going to simply raise money to buy a school without a comprehensive plan that also includes an operating budget. One of the basic questions that people donating money to Mr. Johnson should ask is this: what are the accounting or financial controls in place that assure the money donated to him is accounted for? Go Fund Me deducts a 7% administrative of any money that is raised on its website. Secondly, money that is raised is then transferred to a quantifiable bank account on a periodic basis. This means that the dollar figure one sees on a Go Fund Me campaign merely represents the money that has been raised thus far. Most of the proceeds have already been transferred to the banking account of the person who is raising money for a cause. Black folks should create and finance institutions. These entities needs to be conceived and operated by people who are qualified to run them and are answerable to a governing body. Financial transparency is also crucial. It is just that simple. Bravo, for that clear, penetrating analysis!! Next Next post: The Black Conscious Community Must Resolve Our Contradictions!